It was a squally Saturday evening in Manhattan, winds touching 40mph and seeping through the cracks of my rent subsidized midtown apartment(it’s the details, not just the location). I had just invited a friend over for a drink and we planned on binge watching Altered Carbon and finish a party pack of Doritos(not healthy, I know). We started discussing our doomsday scenarios of a post apocalyptic world where the state monitors your every movement and spoke at length about the Chinese “Credit Score” for appropriate behavior and its parallels with the credit score in the US which unfairly docks points for minorities and people in less than glamorous neighborhoods. India and its foreign policy establishment’s most confusing conundrum once again is to clearly define whether in the larger and long-range perspective China is India’s ‘Friend or Foe’? India’s lack of discerning this distinction makes it ecstatically jump at every crumb of feigned friendship that China spasmodically keeps throwing at India India’s confused China Policy Conundrum has once again surfaced recently when media reports indicate that Indian Foreign Secretary Gokhale sent an advisory note to the Cabinet Secretary that Indian leaders and officials should not attend HH The Dalai Lama’s ‘Thank Yu India’ event in Delhi out of sensitivity for China’s stances on Tibet. 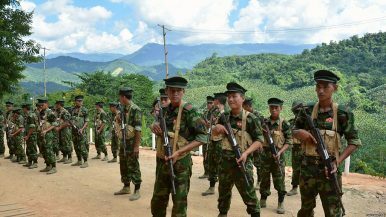 Myanmar’s Tatmadaw has been launching air strikes in the gold and mining region inside Kachin state’s Tanai township in recent months. The area is controlled by the Kachin Independence Organization (KIO) and its armed group, the Kachin Independence Army (KIA). The aim is to clear out the illegal mines in the area that provide a lucrative source of income for the KIO. But underneath this military operation is actually a “resource war” between the Tatmadaw and the KIO in Kachin state. Indeed, control of not only gold and amber but also jade, copper, and ruby mines in the area is important for both the Tatmadaw and the KIO. This competition for natural resources can be viewed as an obstacle to implementing lasting peace in the Kachin state, as it precipitates or worsens the socioeconomic crisis faced by the rest of the Kachin community. Chinese consular staff wave national flags in front of a demonstration by supporters of the Falungong spiritual movement outside the venue where China's Vice President Xi Jinping was opening Australia's first Chinese Medicine Confucius Institute, at the RMIT University in Melbourne on June 20, 2010. A new draft proposal in the House of Representatives seeks to require China’s cultural outposts in the United States, the Confucius Institutes, to register as foreign agents. “DESIGNED by Apple in California. Assembled in China”. 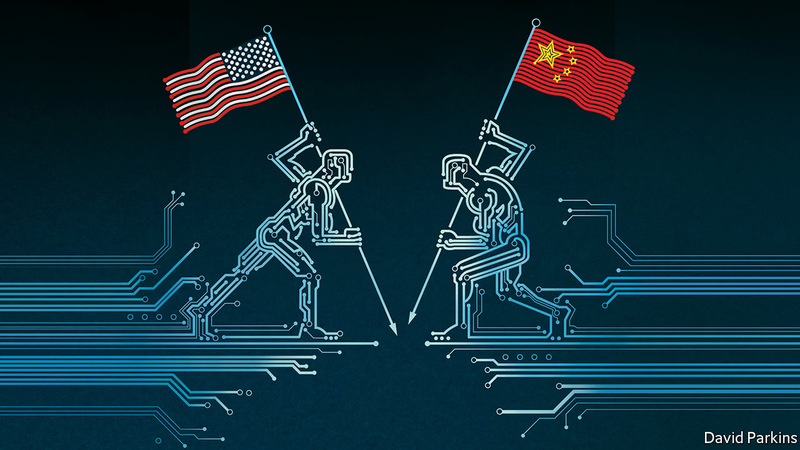 For the past decade the words embossed on the back of iPhones have served as shorthand for the technological bargain between the world’s two biggest economies: America supplies the brains and China the brawn. Not any more. China’s world-class tech giants, Alibaba and Tencent, have market values of around $500bn, rivalling Facebook’s. China has the largest online-payments market. Its equipment is being exported across the world. It has the fastest supercomputer. It is building the world’s most lavish quantum-computing research centre. Its forthcoming satellite-navigation system will compete with America’s GPS by 2020. The People’s Republic of China seeks to contest information dominance (制信息权) and discursive dominance (话语权) in cyberspace. For the Chinese Communist Party (CCP), cybersecurity is integral to comprehensive state security (国家安全). That’s distinct from ‘national’ security in that it focuses on preserving stability and legitimacy to ensure the regime’s survival. Xi Jinping has said that ‘without cybersecurity, there is no state security’. 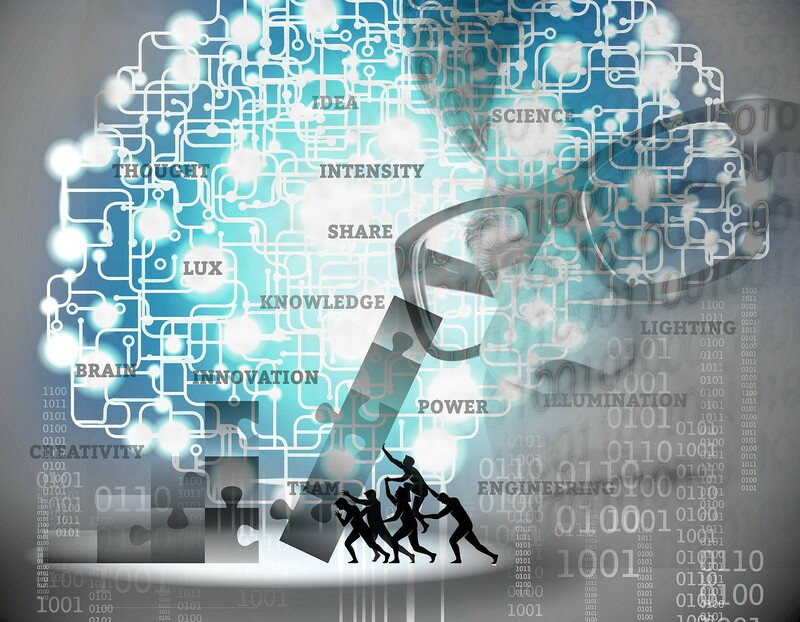 In this concept of cybersecurity, information security and control take priority. Indeed, for the CCP, threats to cyber sovereignty (网络主权) are seen as existential in nature. For that reason, the People’s Liberation Army (PLA) is actively building its capabilities to engage in ‘military struggle’ (军事斗争) in the cyber domain. The next few years will determine whether China's leaders have the commitment and ability to adapt to economic changes and follow through with necessary reforms. Chinese President Xi Jinping will need to retain a firm grip on power while at the same time meeting the rising expectations that come with that level of authority. Beijing aims to reshape local governments' behavior and lower its growth target, paving the way for more sustainable economic growth. Trade pressure from the United States and a slowing economy will test Beijing's resolve as it strives to restructure its economy, challenging its deleveraging campaign and its attempts at enforcing environmental reforms. Sixty years ago, Chairman Mao Zedong of China launched his great leap forward, a plan for social and economic transformation that is widely believed to have resulted in the great Chinese famine of the 1950s. Luckily for China, in the intervening years since then, systematic development programmes and diligent execution begun by Deng Xiaoping and continued by subsequent governments have lifted 700 million people out of poverty, brought prosperity to millions of households and put China on an undeniable path to super-power status. Britain’s finance sector is on high alert amid warnings of a possible Russian cyber-attack on the nation’s infrastructure. Banks, energy and water companies are on maximum alert over the threat of a serious cyber-attack from Moscow as concern continues over the safety of Russian exiles in the UK. Fears that Russia will target Britain’s critical national infrastructure have prompted round-the-clock threat assessments by the UK’s financial sector, energy firms and GCHQ, the UK’s largest intelligence agency, along with the security services MI5 and MI6. Mexico City, the seat of Mexico’s government, has a very basic problem: It has a lot of territory to govern and many physical obstacles between itself and much of that territory. Last October, four American soldiers, four Nigerien soldiers, and a Nigerien translator were killed in combat on Niger’s border with Mali while looking for the jihadi militant Doundoun Cheffou. For the most part, the fallout concentrated on President Trump’s mangled call with the widow of Sergeant La David Johnson. But the incident also called attention to a dangerous development at multiple levels of US politics. From a small village in rural Niger all the way to the White House, the US military has increasing influence over American foreign policy in Africa. As seen by recent events such as the bombing in Manchester, UK, terrorism can occur anywhere, at any time. So far, the terrorist incidents have been relatively low-tech – such as improvised explosive devices detonating inside pressure cookers, trucks driving down crowded sidewalks, or bombs exploding in backpacks containing metal bolts and screws. But what if terrorists were to build a dirty bomb that contained radioactive materials instead of bits of metal shrapnel, and set it off in a major city? Or, worse, what if they managed to build a fully functioning nuclear weapon, cart it to the downtown of a city, and then detonate it – even a small, rudimentary one that was much smaller than the atomic bomb dropped on Hiroshima? What would the social, economic, and political impacts of the successful terrorist use of a nuclear weapon look like? What planning has the international community done for such an event? A more competitive international environment, and in particular Russia’s assertive policies, has sparked renewed interest in the concept of nuclear deterrence in Western defense strategies. For NATO, this rediscovery has manifested itself (among other things) in a thorough analysis of Russia’s nuclear policy and posture, renewed attention to NATO’s own nuclear arrangements, and a stronger emphasis on nuclear deterrence and nuclear arms control in public statements. But there’s more. Major changes in the global nuclear landscape, including in nuclear governance, may soon put renewed pressure on this important part of NATO’s deterrence strategy. Allies need to look not only at the challenges posed by Russia’s nuclear modernization, but also ponder the implications of other—potentially much more far-reaching—changes. Three areas stand out. 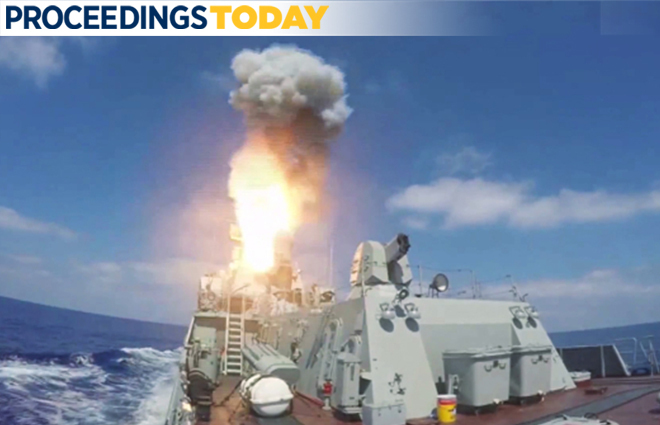 In the past decade, Russia has made a strategic breakthrough in terms of developing its military, but before its operations in Syria, it had not tested its armed forces in combat. In this regard, Syria became the perfect laboratory for mastering skills and testing equipment of the Russian military machine.The Russian-Georgian War For the Russian Federation, the Russian-Georgian War in 2008 was a harsh lesson regarding its military weaknesses and strategic backwardness compared to the West, and it triggered a reassessment of the real situation with the Russian Army. Although victory was achieved quickly, the military noted its deficiencies and the advantages Georgia enjoyed compared to Russia. Recent events in Washington, especially the nomination by US President Donald J. Trump of Mike Pompeo to be the next secretary of state and US imposition of tariffs on aluminum and steel imports, combined with a Europe that is politically weakened and internally focused, are helping create what may become the worst divergence in the transatlantic relationship since the 2003 crisis over the war in Iraq. Unlike the Iraq split, which was over one issue—Franco-German opposition to the US intervention there —the new crisis involves a wide range of complex issues that will be much more difficult to resolve. The replacement of Rex Tillerson with Pompeo, whose paternal great-grandparents came to the United States from Italy, is being greeted in Europe with caution and concern. 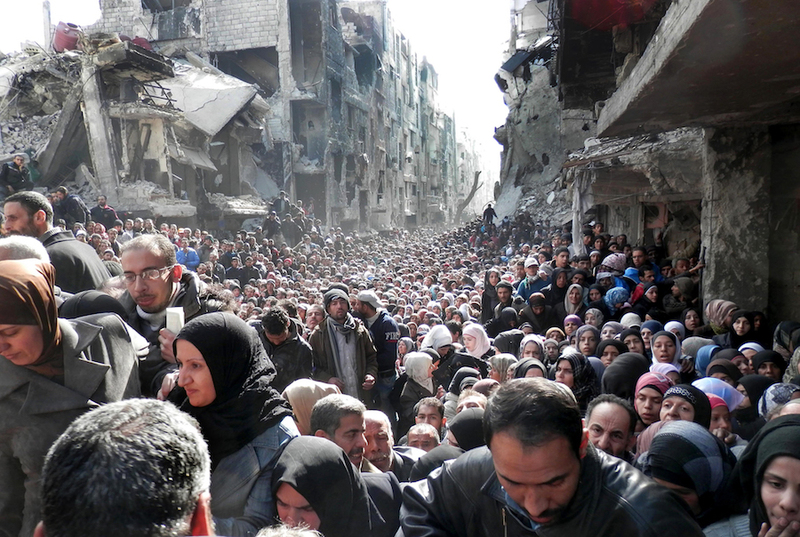 Bottom Line: Behind the curtain of violent conflict often resides a potentially devastating, long-term issue that demands global attention: food insecurity as both a weapon and consequence of war. Militant groups recruit the hungry with promises of the next meal, and states such as North Korea and Syria control food as a mechanism of internal power and psychological warfare. The problem of feeding the world’s hungry – many of whom find themselves in the crossfire of conflict – is only expected to get worse as climates change, populations grow and the rural migrate to booming megacities. Skilled labour seems to be in short supply. At least that is what many companies gripe. However, artificial intelligence can substitute the vast expertise, placing the ‘skill’ in the hands of machines. That McDonalds you frequent, the construction workers you employ, or the shop stewards in a supermarket that restock empty shelves may eventually be replaced by robots. The subsequent wave of automation, currently underway — machine learning, sensors feeding data to an AI system, and artificial cognition — will eventually spread from manual labour to white-collar work. A recent book, Political Turbulence, uses data to uncover the effect social media has on politics. Let’s say you have a pendulum. You give it a bit of a nudge, and it oscillates peacefully. You know exactly how this simple system works. What’s better than a nice, calming pendulum? Two nice, calming pendulums. So you tie another pendulum to the first one. And you give it a nudge. But from the confluence of two simple, predictable systems, chaos ensues. Over the last few years, chaos and turbulence have become ever-more apparent parts of our daily lives. Apparently small effects can be magnified to produce dizzyingly large and unpredictable effects. Social media has moved from being peripheral to integral to politics, and those who have understood and exploited it have reaped massive electoral rewards. 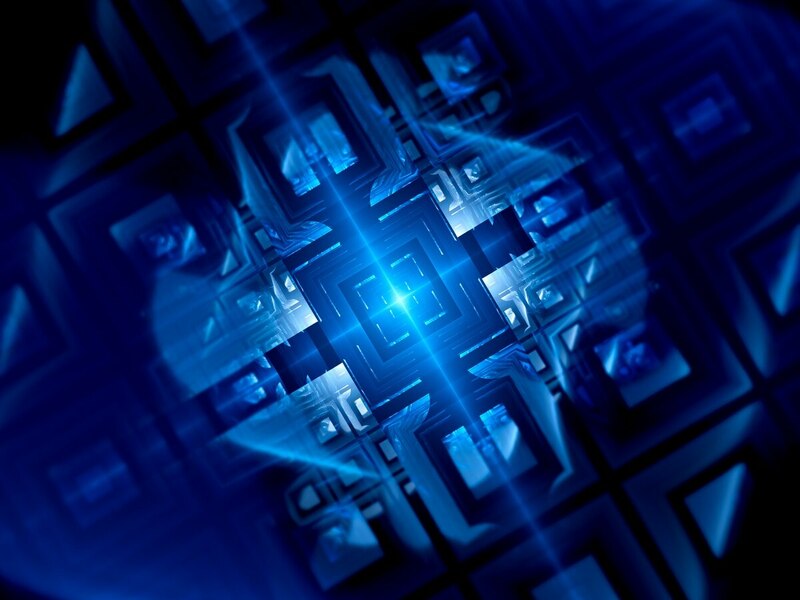 Recent comments from the intelligence community indicate quantum computing could be one of the most important technology investments being made today, but the field has many worried about what might happen if others achieve it first. 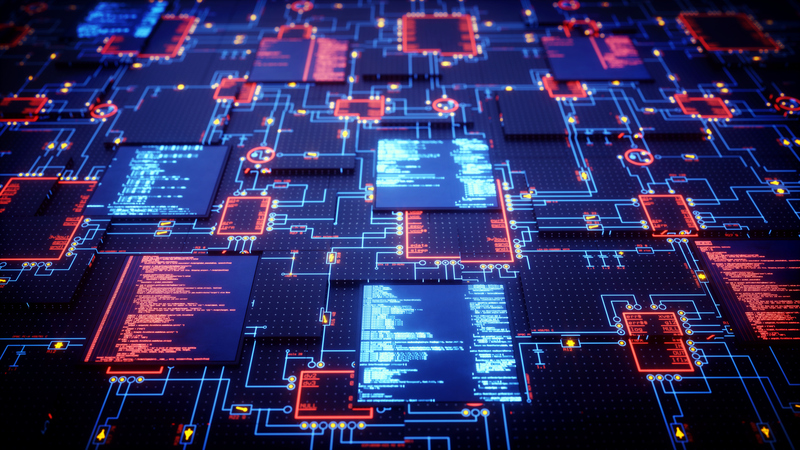 Quantum encryption, enabled by quantum computing, could have profound national security implications such as making adversary messages unreadable and enabling others to easily decrypt critical protected intel. The United States, for now, remains the leader, according to one U.S. intelligence official. The Army is taking its intelligence data base and accelerating it to the edge of combat with a series of strategic and technological initiatives including ruggedized laptops and an increased ability to enable tactical operations in challenged or “disconnected environments,” service officials announced. Through a new deal with Raytheon and Palantir technologies, the Army plans to quickly integrate hardware and software improvements to its Distributed Common Ground System-Army such that it can better access and organize combat relevant information at the “tactical echelon,” Army officials announced.